So much of what gets passed off as productivity involves trying to do more tasks. If the value of your tasks are all equal, then this might make sense, but not all tasks are equal. Imagine you have 10 tasks you could potentially work on today. Nine have a value of one, but the tenth one has a value of ten times that. Even if you are able to complete all nine of those low values tasks, you have failed if you don’t complete the high-value task. The productivity benefits of doing more things are minuscule compared to the gains of doing the most valuable things first. Someone working with superhuman efficiency on low-value tasks is never going to out perform someone working with normal efficiency on ultra high-value work. Any system you use for organizing your work needs to be centered around the act of prioritization. If your system doesn’t do that, it isn’t going to optimize your productivity. The funny thing about focusing on prioritization is that it isn’t something you need any fancy tools to do. You don’t need special software or an app for your phone–you just need to be able to make a list and then prioritize the order. 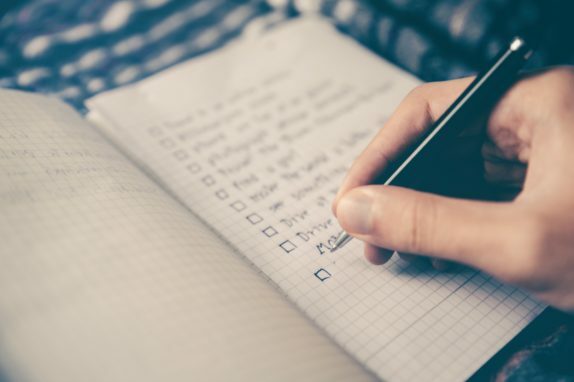 If your list of tasks is hard to prioritize, you may find it is easier to write your tasks on sticky notes or cards so you can physically sort them. Whatever method you use, prioritization gives you the ability to focus the limited resources of your time on things that are truly important. The small amount of time you invest on prioritization has a return on investment higher than just about any other activity.